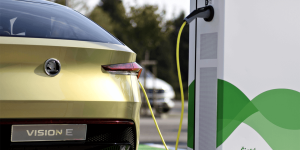 As part of its electrification offensive, Skoda will set up almost 7,000 charging points in and around the three Czech plants in Mladá Boleslav, Kvasiny and Vrchlabí by 2025, spending a total of around 32 million euros for the charging infrastructure upgrade. 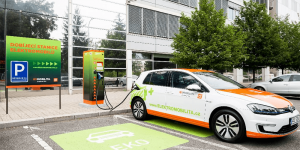 The Czech Energy Group (CEZ) has been tasked with setting up fast charging stations in Hungary. The expansion is part of a $44M investment, first in their home nation before coming to Hungary, Bulgaria, Poland, Romania and Slovakia in the next decade. Škoda, the city of Prague and the Czech Technical University have agreed to implement concepts for sustainable urban mobility together in the Czech capital. 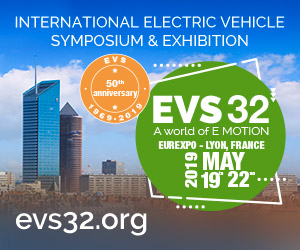 Initiatives will include electric mobility and sharing offers using future Skoda EVs including scooters. 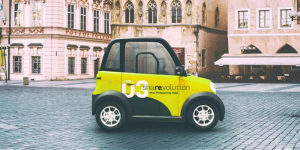 On the 15th of June a new car-sharing offer with small EVs is going to start in Prague. The company Re.Volt will release a fleet of 2.2 m short and 1.3 m wide two-seaters, which will have a 120 km range. 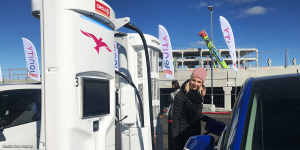 The EU Commission is supporting the construction of 118 fast charging stations for the CEUC (Central European Ultra Charging) project. Smatrics was chosen as a service provider for the rollout, operations and maintenance of the network. 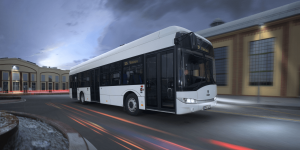 The capital of the Czech Republic is building on its good experience with electric buses and now wants to electrify entire routes. 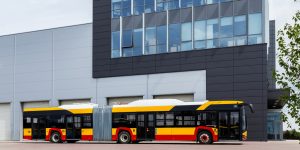 Therefore, Prague Public Transit Company (DPP) is preparing a tender for 15 electric buses to arrive by 2021. 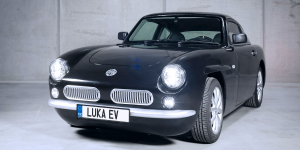 The Czech automobile manufacturer has delivered a first impression of their new EV, in a stylish retro-design. Thanks to an aluminum chassis and a relatively light 21.9 kWh battery, the vehicle weighs only 815 kg and has a range of 300 km. 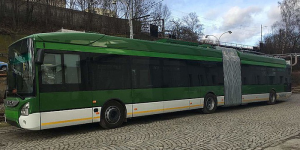 Skoda Electric has tested a new electric trolleybus model in Plzeň, Czech Republic. The 18 metre bendy bus is made in cooperation with Iveco that lent its bus chassis made in France. The electrics come from Skoda Electric. The Moneta Money Bank has announced that it intends to replace all of its combustion-powered cars through electrified vehicles. Its fleet consists of hundreds of cars. 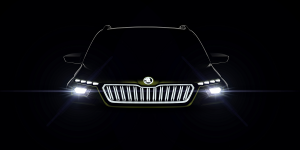 Skoda seeks to launch five all-electric models until 2025. 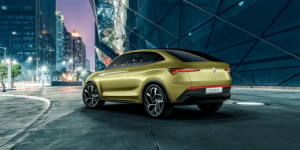 Now the brand has decided, where it will establish the production: The first model of the all-electric quintet will be built in the Czech plant Mladá Boleslav. Canada, Scotland, Czech Republic, EWE. 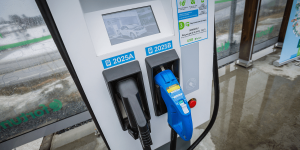 Canada extends fast-charging: The Canadian government wants to raise 120m dollars to further develop the nationwide infrastructure for electric vehicles in the current year. One of the first projects is the installation of ten EV quick charging stations along the Trans-Canada Highway. The initiative will cost for 335,000 dollars in the New Brunswick province and is run together with local NB Power utility. Charging Scotland: The ScotRail Alliance announced to implement charging places with two EV charging points each at 50 train stations across the country. The infrastructure project is scheduled for September and shall be completed by November. As the train operator oversees 359 stops, every 7th will be EV ready by then. Electrified police cars: The police of the Czech Republic started a six month trial with eleven BMW i3, some with range extender. Three of them will be on patrol in Prague and the rest in other cities. 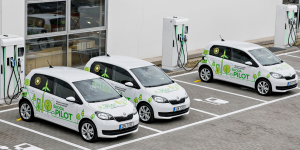 Shop & charge: German energy provider EWE wants to install 60 EV charging stations next to Edeka supermarkets in northwest Germany. 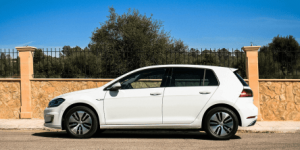 EWE thus is to double the amount of its currently 120 charging stations by the end of this year and will begin at an Edeka centre in Friedrichsfehn. Renault Zoe, Toyota Mirai, BYD, Honda, GM, Czech Republic. 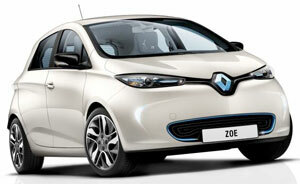 More Renault Zoe: The French carmaker will scale up production of its compact EV at the Flins factory near Paris from 120 to 150 units a day by the end of November. One possible reason for the expected increase in demand is the recently extended French diesel scrappage scheme. Mirai launches in California: Toyota’s fuel cell future is now officially on sale in California, where about 300 owners were handed ceremonial keys. More than 2,000 people have requested to buy a Mirai in the Golden State but Toyota only allocated 1,000 units to the U.S. this year. The waiting list is open. 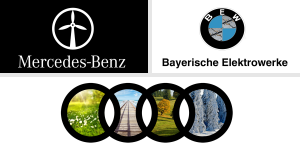 BYD PHEVs for Europe: After just expanding its European bus business, the Chinese manufacturer ponders to enter the passenger car market, i.e. by bringing the hybrid Qin and Tang. 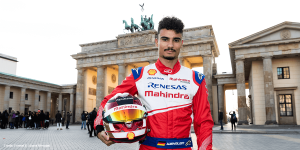 BYD Managing Director in Europe, Isbrand Ho, put Great Britain on top of the list to test the European waters. Honda delays plans for a new China plant by two years. The construction with JV partner Dongfeng may only start in 2017. The facility in Wuhan will then also produce electric vehicles from mid 2018. GM to scale up EV production: The American carmaker plans to nearly double the number of employees its Detroit-Hamtramck Assembly Plant as it adds 1,200 jobs for a second shift early next year. The Chevy Volt and the Caddy ELR are both built at the Hamtramck facility. 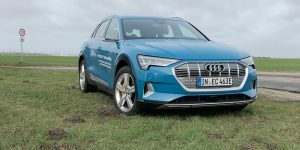 Czech EV subsidies? 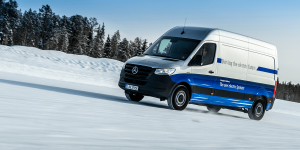 The Ministry for Industry and Trade of the Czech Republic thinks about introducing a subsidy for electric and natural gas vehicles. A one-off payment of 40,000 Czech koruna (about 1,600 dollars) per purchased vehicle is on the table.